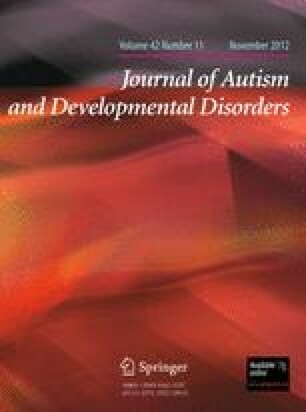 Both self-report and industrial hygienist (IH) assessed parental occupational information were used in this pilot study in which 174 families (93 children with ASD and 81 unaffected children) enrolled in the Childhood Autism Risks from Genetics and Environment study participated. IH results indicated exposures to lacquer, varnish, and xylene occurred more often in the parents of children with ASD compared to the parents of unaffected children. Parents of children with ASD were more likely to report exposures to asphalt and solvents compared to parents of unaffected children. This study was limited by the small sample size, but results suggest that workplace exposures to some chemicals may be important in the etiology of ASD and deserve further investigation. The authors would like to thank the families who participated in the CHARGE research project. It is because of their time and commitment that we were able to conduct this research. The authors would also like to thank Lora Delwiche at the University of California, Davis for her help with data management during this project. Grant sponsor: National Institutes of Health, Grant numbers: 1 P01 ES11269, 1 R01 ES015359, Grant sponsor: U.S. Environmental Protection Agency through the Science to Achieve Results (STAR) program, Grant numbers: R829388, R833292. NIOSH. (2001) Registry of toxic effects of chemical substances (RTECS®). Cincinnati, OH: National Institute for Occupational Safety and Health. Available: http://www.cdc.gov/niosh/rtecs/RTECSaccess.html. Assessed 20 December 2010.